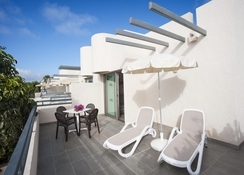 To spend an unforgettable season on this island, Eden apartments in Puerto Rico, Gran Canaria provides fantastic accommodation. It is an establishment that offers rooms for up to five people with everything you might need for an unforgettable stay. These rooms are decorated following a simple decor, where light colors that bring a lot of light are combined perfectly with red touches that convey vitality and joy. 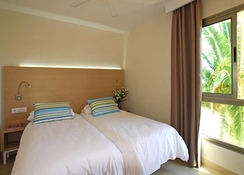 They are provided with comfortable beds, private bathroom and a television. Eden apartments in Puerto Rico has an outdoor pool with its own fountain and bridge, children's pool and sunbathing area. It has a program of activities for the whole family where you can practice water polo too. In the afternoons, shows and live music are offered while a car and bicycle rental service is available, as well as a on-site laundry service. 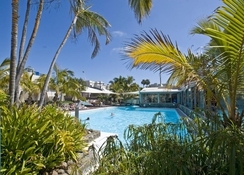 Eden apartments Puerto Rico is located in Puerto Rico, on the island of Gran Canaria. In the vicinity of this establishment there are many places of great interest that guests can visit during their stay. Soak the sun up in Amadores beach located 0.8km away, Puerto de Mogán 5.5km away or San Agustín beach 12.2km from this establishment. 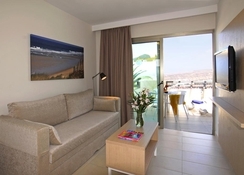 The Gran Canaria Airport is at a distance of 51km from the hotel. 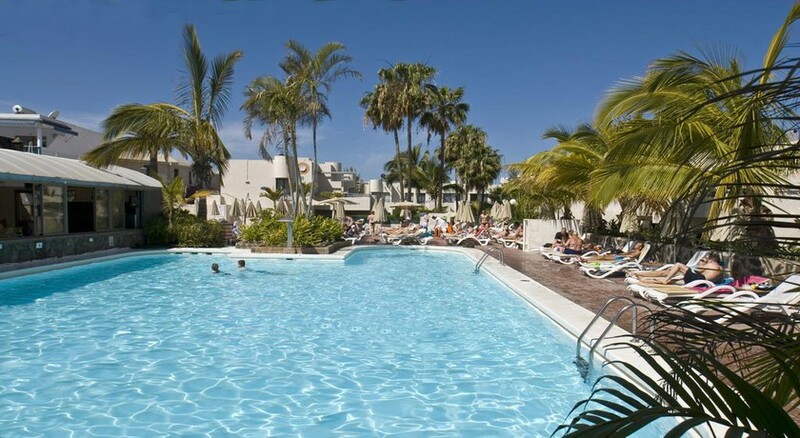 Eden apartments Puerto Rico offers a total number of 118 rooms. 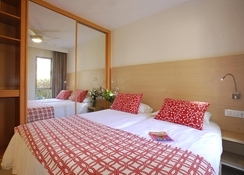 The rooms of this establishment have comfortable beds, private bathroom and television. The Wi-Fi connection is available throughout the hotel, so guests can make use of the Internet connection in their own room. Guests can choose between suites with one bedroom or family suites with two bedrooms. The Eden restaurant offers a host of Spanish and international cuisine. The restaurant serves 3 meals in a buffet style. The breakfast is served from 8am to 10am, lunch from 12pm to 3pm and dinner from 6:30pm to 9pm. Ice creams and drinks are also served at the restaurant. Alcoholic drinks are served from 11am to 11pm. There are also bars and restaurants a short walk from the Eden Apartments too. The hotel has an outdoor swimming pool, children's pool and there is a great entertainment program that includes sports such as water polo, aquagym sessions, as well as shows and live music in the afternoon. To make the most of your stay, services such as car and bicycle rental, ironing services and laundry services are offered. For any avid golfers who want to tee off in the sun and experience a challenging local course then the Anfi Tauro golf course is only 4.8km from the hotel. Apartment was great and well facilitated. Everything you needed with loads of space. We were a ground floor apartment so the outside area was surrounded by no sun and a giant wall but there was a space outside the front with artificial grass and sun beds away from the busy pool which made up for it. Like I said, the pool was busy but plenty of space as it is large and spans around the main food court area. There's always activities on which looked fun. The location was great, not far away from a small precinct with plenty of bars, restaurants and gift shops as well as a supermarket (which came in handy for one night were we cooked Spag Bol in the apartment!). Nothing wrong with the hotel although Gran Carniria felt culture-less and purpose built so I don't think we'd return for that reason. All in all, great hotel and worth checking out as we managed to get a decent deal through Teletext. Nice apartments modern and clean have been several times before, will definitely be back.